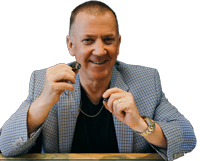 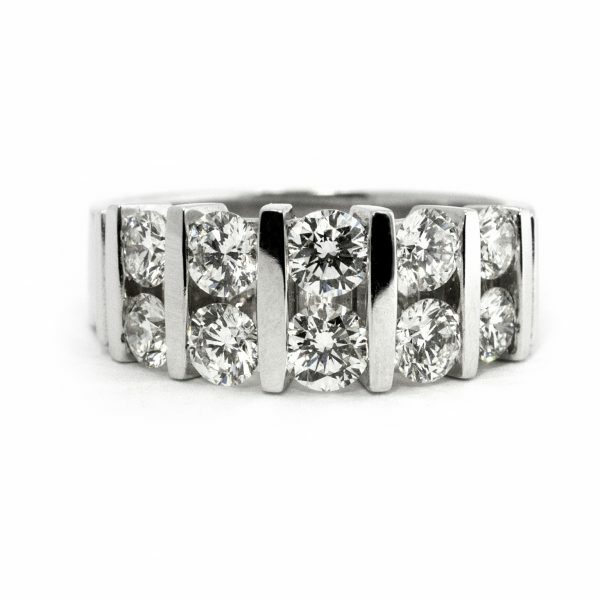 10 round brilliant diamonds. What more can we say! 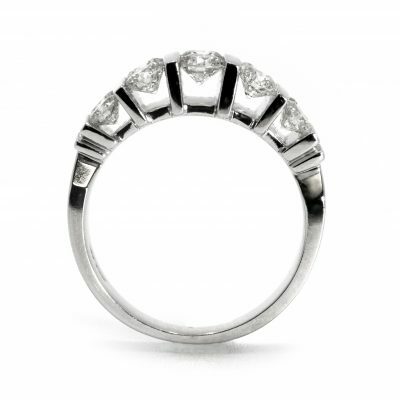 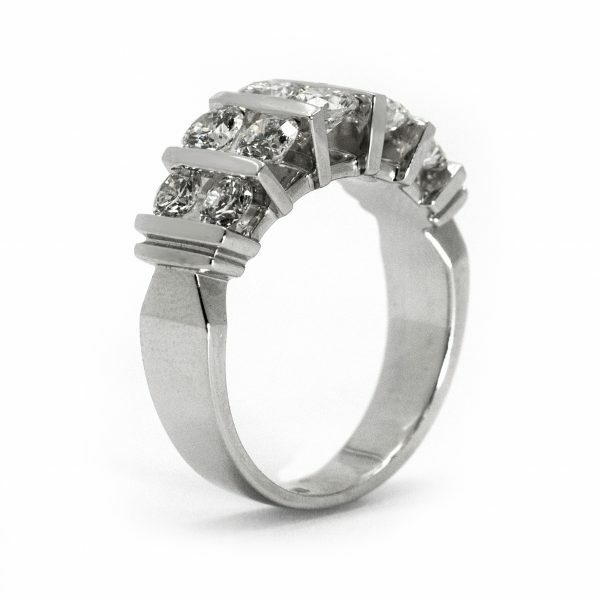 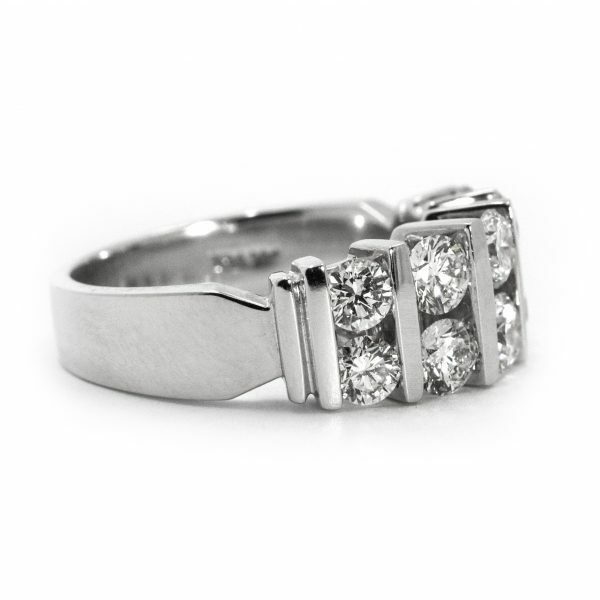 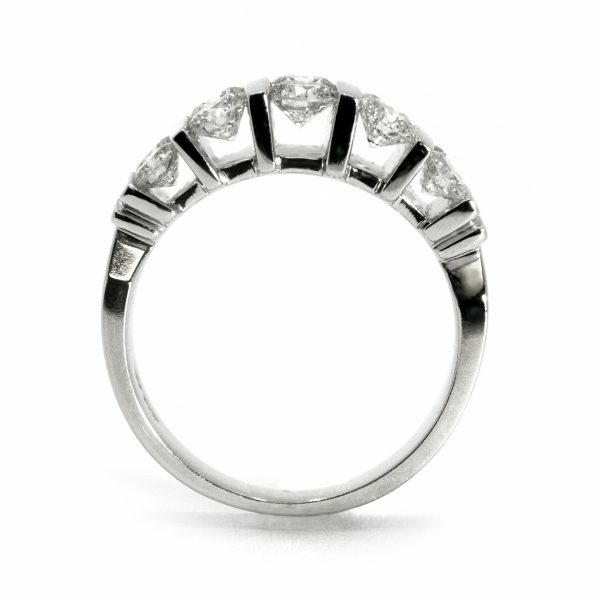 This diamond band is elegant with 5 sparkling rows of diamonds set apart by shiny white gold bars.